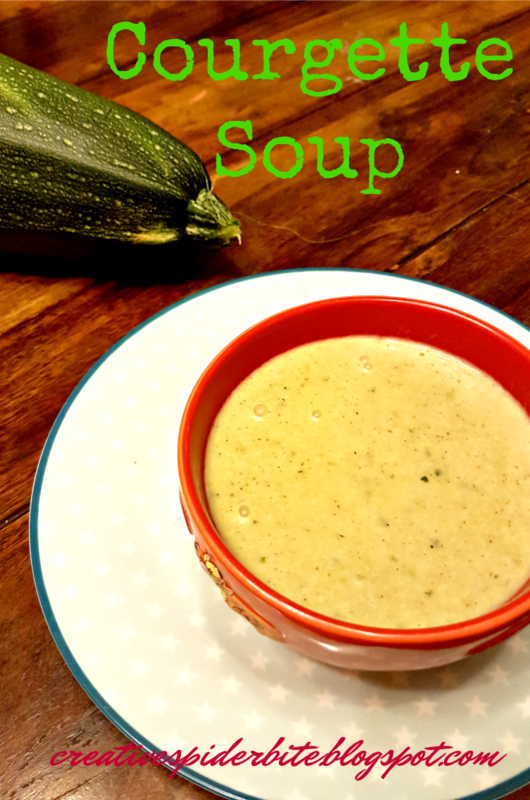 Here comes yet another courgette recipe, that was handed down by my wonderful sister - it is for a super simple and fast made courgette soup! This is a very simple and fast recipe! about 1 teaspoon of butter together in your saucepan. half a teaspoon of freshly ground black pepper to your onion/garlic mix. bring to boil and let simmer for 10 minutes. fresh ground nutmeg to taste, whizz well and serve immediately . And voilà yet another tasty use for courgettes! BTW this tastes very yummy, if you serve it with some fresh baked bread, like this carrot bread! We are growing two kinds of zucchini (courgettes) for the fall. If we have a good crop, I will definitely try this recipe! This year seems to be a very good year for zucchinis or courgettes around here. I hope you are equally lucky. courgettes are squash? I do love me some squash soup....perfect for a cold wintery Michigan day. Courgette soup sounds delicious. I love using courgettes in my recipes so will try this out. I use a lot of Courgettes at the moment and am always looking for new recipes. I hope you will enjoy this one! It is very simple! I hope you get to enjoy the sunshine for another while, it got very autumn like here.